Working mums are a conflicted bunch. On one hand, we’re overwhelmed and stressed from the daily juggle but we’re also fulfilled and find the stress worth it. Last year I asked the question: what is life really like for working mums?, and ran a survey to find out. 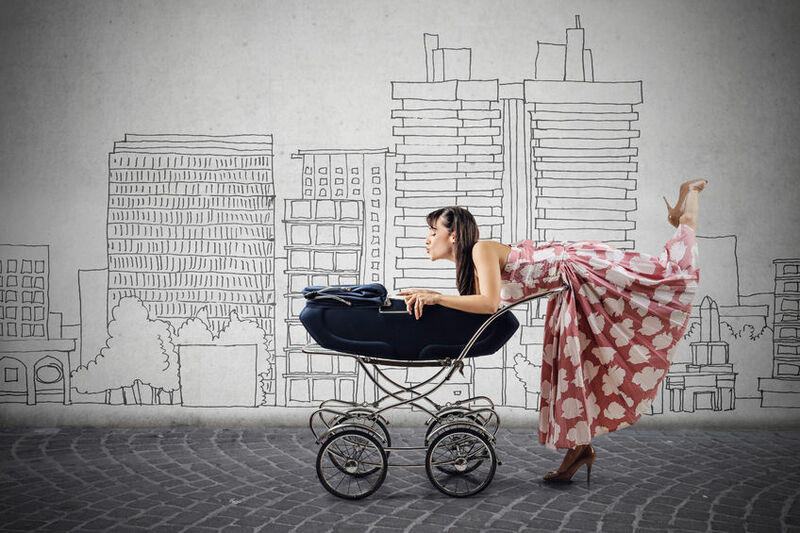 More than 200 women responded to the Business Babies & Balance survey (thank you!) and the results were heartening and simultaneously disheartening. Heartening because you were all so proud of what you do, what you achieve both on the job and at home, and were for the most part optimistic about your future. Most of you rate your happiness as fairly high. That is despite feeling overwhelmed, anxious, stressed, doing most of the housework and really struggling with the whole life-balance equation. Which was the disheartening bit. I wasn’t exactly surprised to see that overwhelm was so high on the list. When you consider the load you’re carrying and what you’re achieving out there, it stands to reason overwhelm is a part of the package. It does though lead to a range of negative experiences, which also showed up in the responses above. Anxiety for one, can easily be triggered by persistent overwhelm but when we look further into some of the questions and your responses, other contributing factors come up, like not enough sleep or broken sleep, limited down time, and not much exercise or movement. All factors that are known to contribute to stress and anxiety. ♥ How many hours do you sleep a night? ♥ Do you regularly wake at night or have broken sleep? ♥ How much down time do you get? ♥ How much exercise or movement do you do? So you’re busy, tired, and not getting a lot of help around home, spreading yourself too thin and feeling personally responsible to carry the entire load on your own. A perfect recipe and environment for stress to turn into anxiety and exhaustion. Most of the ladies rated their stress levels from moderate to high, but at the same time they also rated their happiness and future outlook as extremely high. Work-life balance was rated the number one problem, followed by finances – and obviously taking care of issue number two makes taking care of issue number one a little tougher. ♥ On a scale of 1-10 (with 1 being miserable and 10 being ecstatic) how fulfilled are you in your worklife? ♥ How stressful do you find your life? ♥ How happy would you say you were? I don’t think there are any great surprises here. We’re all pretty aware that life as a working mum is busy and often overwhelming and that for the most part, we find it hard to have enough time for all the competing elements of our every day lives. What I’ve taken away from the results – and the many, many comments left as a part of it (I’ll share some of those later down the track) – is that women will continue to want to work because it brings them a sense of satisfaction and fulfillment and contributes to their happiness, despite the busyness. It’s the overwhelm of not being able to offload some responsibilities and free up some time – either because we lack the resources to do it, or we’re stuck in martyr mode and simply don’t do it – that is the central sticking point to working out that elusive balance equation. So how do you rate compared to the survey results? Do they sound about right? I’d love to hear your thoughts as well as any tips on how you manage your work and life load. What life is really like for working mums.